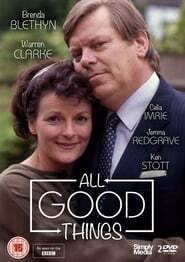 A marriage and home can be made complete with the arrival of a new baby, but Shirley Frame (Brenda Blethyn) feels a need to share her good fortune by going out into the world and helping others – driving husband Phil (Warren Clarke) up the wall. Shirley (39) gives birth to her third child and is over the moon. Intent on sharing her delight with the world she embarks on a plan to make life a better place for as many people as possible. Husband Phil and their two teenagers aren’t easily convinced. Very quickly she learns that it’s not easy being a Good Samaritan, especially in a world of tower blocks, drug abuse and homelessness, even if your own life is rosy.